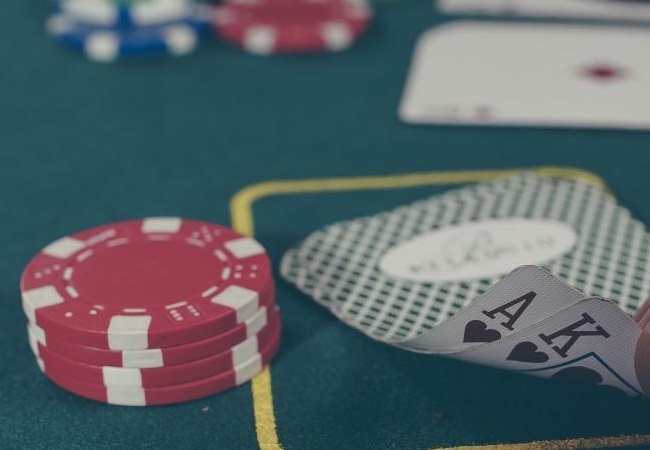 In Texas Hold’em poker, a kicker (also known as a side card) is a card which is used to determine the winner of the hand in the case of opponents who are tied with the same hand rank. 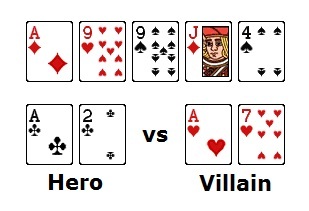 Winners are usually determined from the rank of a hand (e.g. flush vs full house) but when both players hold the same hand rank, a kicker must come into play to separate the winners from the losers. Well think about it for a minute, and then if you can’t work it out, have a read of the list below. High card: When both players have a high card, all cards can be counted as kicker. Take the your two hole cards and five community cards, then start with the highest ranking card and compare to your opponent while ignoring the the two weakest cards. We ignore the 3 and the 2 on the board. One pair: With one pair a kicker is used when your second card is better than your opponent and the remaining cards on the board. In this case, you have your opponent out kicked with the hand of a pair of Aces with King kicker vs a pair of Aces with a Queen kicker. Therefore the pot will be split! Three of a kind: a kicker with three of a kind is determined in the same way as one pair. If you have AK on an AA752 board, vs AQ you will have the best 5 cards with AAAK7 vs AAAQ7. You have the best five cards in this scenario because the K plays after the three Aces. Note the difference between an ordinary 3 of a kind and a set – a set is when you make three you of a kind using the two hole cards whereas an ordinary three of a kind is when you have three of the same card using only one of your hole cards. There is no kickers when you have a set because your opponent cannot also have two cards of the same rank when one is on the board. Straight/Flush: There can be no kickers with straights or flushes as these hands require the best 5 cards to be used. Full house: There are no kickers with a full house. Hands are ranked in the same way as with two pair. Firstly, the best three of a kind is the winner, if both players have the same three of a kind, the best pair wins. If both players have the same three of a kind and pair, the hand will always be split. Four of a kind: A kicker does not play with a four of a kind unless the four of a kind is on the board. You will win this hand as your Ace kicker players after the four Queens. Straight flush/Royal Flush: Similar to a straight and flush, kickers do not play as a straight or royal flush require 5 cards. We already mentioned when a kicker doesn’t play e.g. in a straight, flush or full house. However, a kicker also won’t decide the winner when you and your opponent has the same hand e.g. A5 vs A5. A kicker also doesn’t decide the best hand when there are better kickers already on the board. For example, if you have A4 and your opponent has A3 on an AK762 board, the best 5 cards for both opponents is AAK76 and the kicker won’t be included in the hand. Therefore, the pot will be split between the two players despite us having a better hole cards than our opponent. Kickers can also be counterfeited. If you have a hand of A5 on a AQT2 board, any card higher than a 5 on the river will mean that your kicker has been counterfeited and won’t play. E.g. if the river was a 7 the best 5 cards would be AAQT7. A kicker most often comes into play when you have a high card. 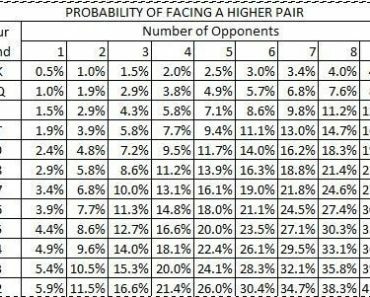 The best hand you can get with a kicker is AK, because if your opponent has an Ace or King in their hand, you will have them outkicked and you will be a big favorite to win the hand (roughly 75% favorite). AK always makes top pair top kicker which is the best one pair hand you can make. Since players most often play high rank hands, kickers are most important when you have a high card. This is why it is not advisable to play weak ace hands (e.g. A2 or A3) very often (see poker position). A2 will make top pair bottom kicker on an ace high board (e.g. AQ753) and is a significantly weaker hand than top pair top kicker. If you do happen to have top pair bottom kicker on an ace high board, it is quite likely that you could be facing another ace with a better kicker (or better) if a lot of money goes into the pot. Being outkicked is one the common poker mistakes I recommend watching out for, so make sure you think about your kicker! The word kicker comes from the English word which means an unexpected turn of events or a “trap” and it is often very true in poker that players are trapped by the word kicker. Kickers do not depend on suits and suits should not be considered when determining the winner of the hand except when a flush is possible. 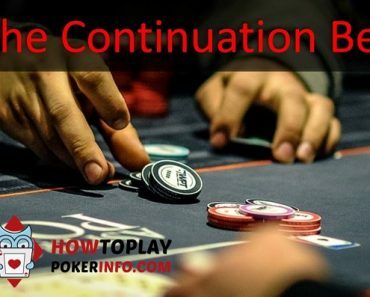 Want to learn poker quickly? 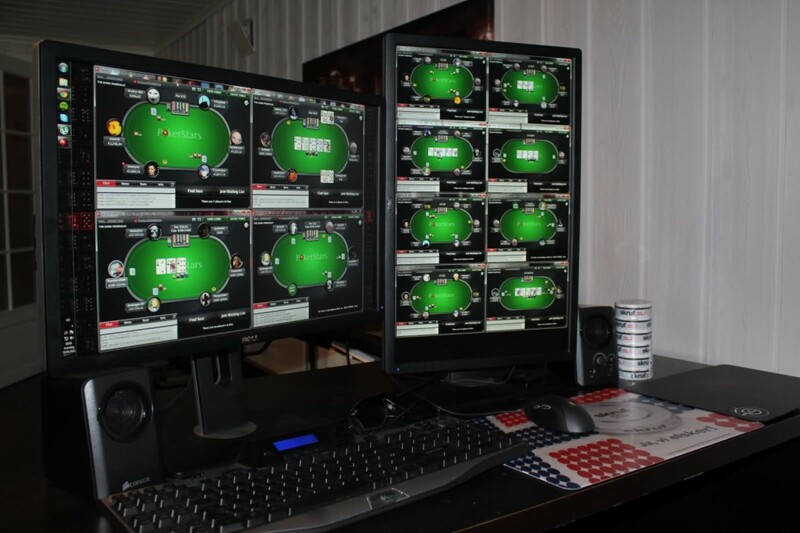 Head over to our best poker training sites so that you can take your game to a new level and fast.